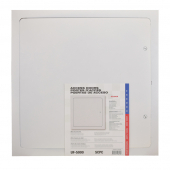 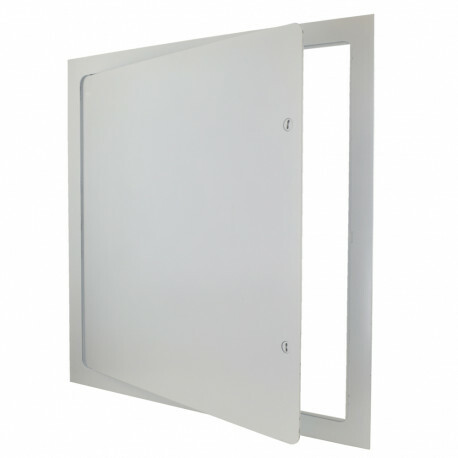 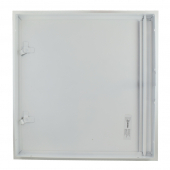 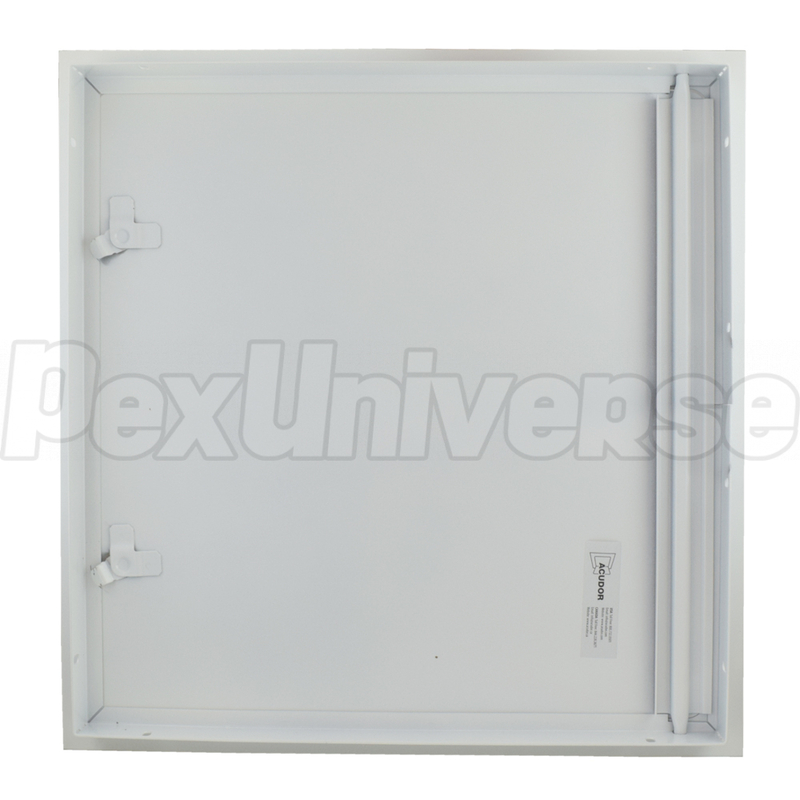 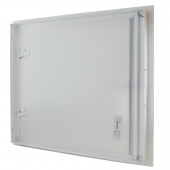 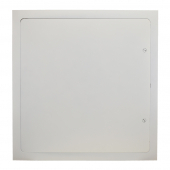 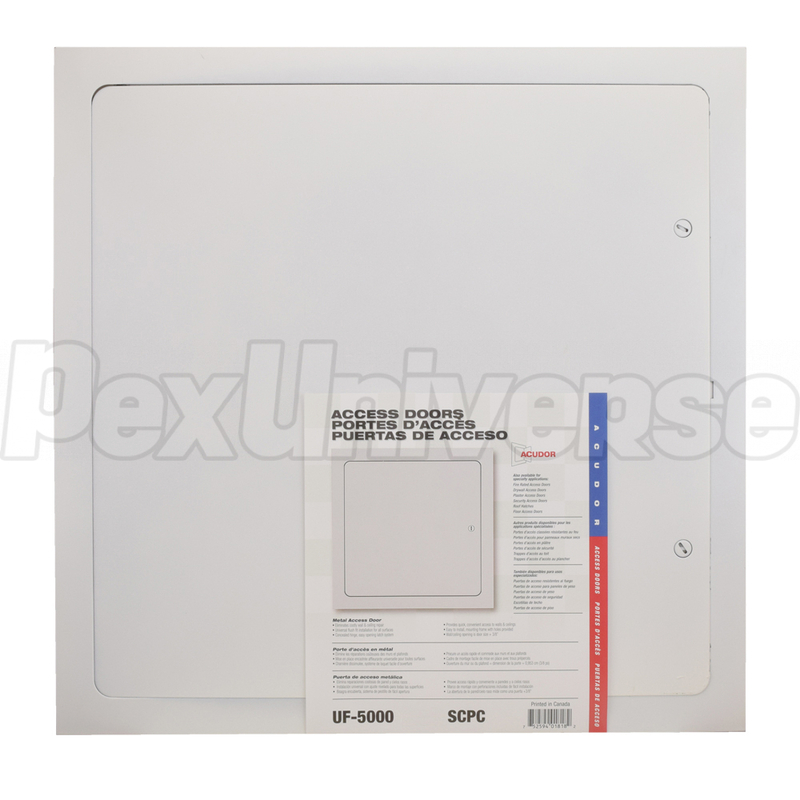 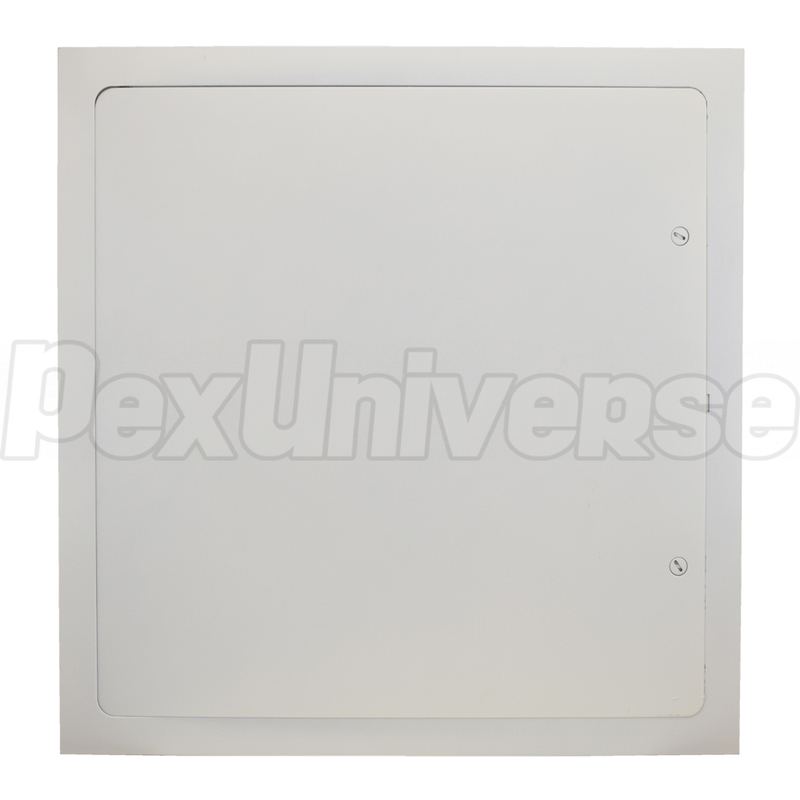 Acudor UF-5000 series, 16" x 16" metal access door suitable for wall or ceiling installation on drywall, tile or masonry. Flush installation, concealed hinge and a rounded corners panel with cam latch type lock make this door an ideal choice in plumbing, mechanical or electrical applications (where allowed by code) in residential and commercial buildings. 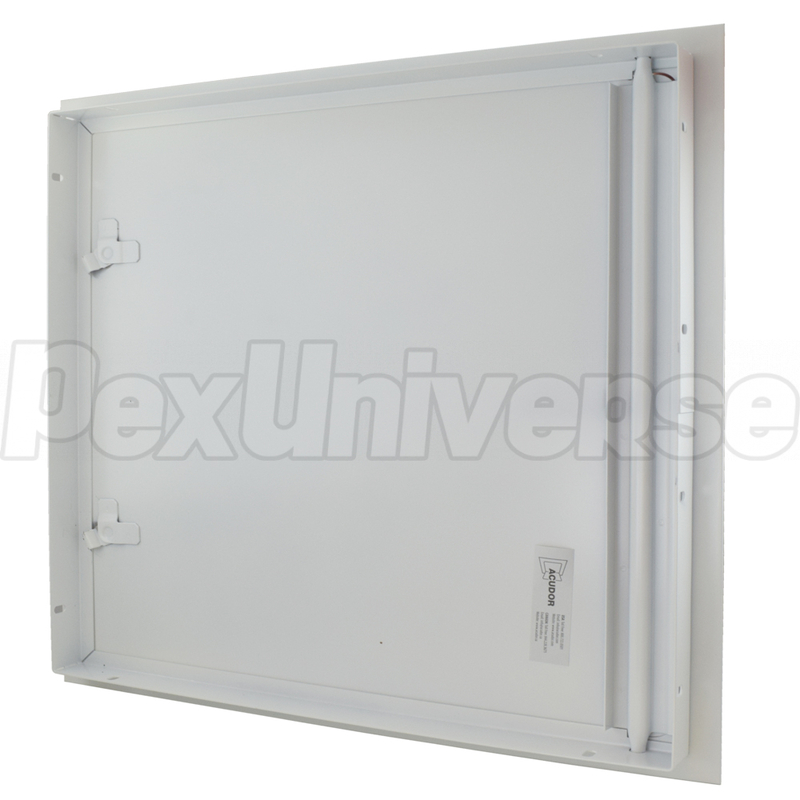 Access door size (W x H): 15.45" x 15.45"
Overall size (W x H): 17.62" x 17.62"
Inside Frame (W x H): 16.25" x 16.25"
Rough Opening (W x H): 16-3/8" x 16-3/8".